American Wordata, Inc. has been a leading Information Technology provider with a focus on Federal, Prime and State & Local customers. Our value add to our customers is that we offer end to end solutions from many different manufacturers which help the customer choose the right solution for their needs. We have developed a remarkable reputation exceeding customer expectations for delivering IT products and hardware-related services to military and civilian agencies and the companies that serve them. The company started in 1981 by John Zeliph in Phoenix, Arizona. John and his team built the company on valuing integrity, drive, respect and innovation. 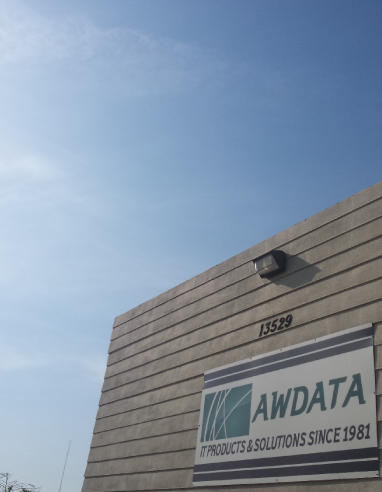 From the very beginning, Awdata has endeavored to be the best at providing quality customer service, honest communication, unwavering work ethic, and cutting-edge technological knowledge. Over the years Awdata has built upon these principals to become a leading provider of IT goods and solutions. American Wordata’s CEO, Traci Weston, started working with the company in 1995 on the operations side. With the foundations of a great company in place, Traci decided to jump in full force and invest 100% of her time, energy and capital into Awdata. In 1995 she purchased controlling interest in the company from her father John. As an owner, Traci made tactical changes to help the company evolve in the ever changing technology market. Today, the company is a Florida corporation wholly owned by Traci Weston. As the company grows, Traci has kept the same values and principles that Awdata was established on. She has continued to provide a family feel when working with our customers no matter how small or large of a project. With the world becoming more interconnected than ever, Traci has formed multinational partnerships with the industry’s leading IT manufacturers, while ensuring only authorized and certified channels are used. She has assembled a team of highly trained IT professionals, engineers, managers and individuals to help Awdata achieve lasting growth. Specializing in serving public sector and integrators, our professional sales staff utilizes partnerships and resources to provide end to end technology solutions that support their IT missions and legislative requirements. As an agnostic solution provider, Awdata delivers the best in class technology on time, within budget, and meets or exceeds our customers’ technical requirements.